The global pruritus therapeutics market was estimated at USD 10,675.21 Million in 2017 and is anticipated to gain significant traction over coming years. Pruritus is a chronic itching disorder initiated due to dermatological infections such as contact dermatitis, chickenpox, mycoses, and atopic dermatitis. In addition, there are numerous fundamental etiologies for pruritus, for instance, uremic pruritus results from dialysis and chronic kidney diseases, hepatogenic pruritus results from jaundice & hepatitis, and some forms are drug-generated pruritus. The pruritus disorder is a result of stimulus from free nerve endings in the dermal tissue that is transferred through the C-fibers and via the spinothalamic tract situated in the spinal cord. This kind of procedure marks the form of itchiness. Subsequently, this disorder is an indication of cholestasis, systemic infections, malignancies, chronic renal failure, endocrine disorders, and neurologic disorders and or exposure to several medicines. The International Forum for the Study of Itch (IFSI) has estimated three types of pruritus disorders that are with chronic secondary scratch lesions, pruritus on normal skin, or inflamed skin. Many individuals with chronic pruritus have skin wounds in the lack of skin disorder which is majorly owing to the skin dryness, scratching or insect bite. Henceforth, this classification by IFSI assists to generate a clear difference amongst disease induced and non-specific disease induced pruritus disease. The pruritus diagnosis of the necessitates a thorough analysis involving laboratory investigations and clinical examination that are generally, psychogenic, dermatologic, neurogenic, and systemic, and in nature. 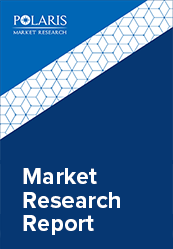 The global pruritus therapeutics market is majorly driven by the increasing demand for over-the-counter (OTC) topical corticosteroids. Additionally, the strong pipeline for pruritus therapeutics and new product introduction are another key factors for boosting the pruritus therapeutics market. Identification of novel T-cell subsets such as Th17 & Th22 and patent expiry of numerous pruritus therapeutic medications such as Protopic (tacrolimus) are another factors anticipated to boost the market growth. Moreover, pruritus disorder covers a wide array of the potential target population, as skin diseases are a highly common worldwide problem. These factors would provide an entry area for new key players further expected to form lucrative opportunities contributing to the growth of pruritus therapeutics market in the forecast period. However, lack of awareness to locate the origin of pruritus is one of the major factors anticipated to hinder the pruritus therapeutics in the market. The global pruritus therapeutics market is segmented on the basis of product, disease type, and geography. On the basis of product, the global pruritus therapeutics market is segmented into Corticosteroids, Antihistamines, Local Anesthetics, Counterirritants, Immunosuppressant, Calcineurin Inhibitors, and Others. In 2017, the corticosteroids are expected to dominate the market by product segment as corticosteroids are widely used as the first line of treatment. On the basis of disease type, the global Pruritus Therapeutics Market is segmented into Atopic Dermatitis, Allergic Contact Dermatitis, Urticaria, and Others. In 2017, Allergic contact dermatitis is estimated to dominate the market segment. It is the 3rd most general cause for patients seeking consultation with a dermatology specialist. Allergic contact dermatitis is commonly observed in women. In terms of geography, North America was estimated to dominate the global pruritus therapeutics market. The dominance is majorly due to The presence of favorable government initiatives and the introduction of new products. Moreover, rising incidence of target disorders and the existence of pruritus inducing climatic disorders in this region are anticipated to boost the market growth during the forecast period. However, Asia Pacific is anticipated to dominate the global Pruritus Therapeutics Market. Growing incidence of atopic dermatitis and urticarial and presence of unmet healthcare organization needs are the factors attributed to the growth of the market in the Asia Pacific. Major firms are focusing on small firms with a working methodology of securing the end goal to manage position in the market and are associated with mergers and acquisitions, key joint efforts, and novel item advancement to pick up profit share in the business. Some major key players in global Pruritus Therapeutics Market includes Allergan Inc., Amgen Inc., Astellas Pharma Inc., CARA Therapeutics, Novartis AG, and Teva Pharmaceutical Industries Ltd. among others.